Response: Addiction is causing serious challenge to public health. Few drugs can treat or even alleviate addiction. In recent years, non-invasive brain stimulation has been used to modulate craving responses in different types of drug addicts (heroin, methamphetamine, cocaine), and to prevent smoking or alcohol abuse. However it is unknown if brain stimulation can also help addicts get rid of the aversive symptoms in the early withdrawal period. The present study is to our knowledge, the first trial to alleviate drug withdrawal symptoms and associated insomnia with non-invasive transcranial magentic stimulation. Response: Employing brain stimulation to help drug addict at all stages during rehabilitation is important: from early stage to off withdrawal, to middle stage of craving modulation, and to end stage of cognition recovery. We here encourage more scientists and clinicians to try, and to improve the current TMS procedures. Many things are unknown: (1) the relapse prevention effect or the long-lasting effect. (2) the proper target, frequency and intensity for different individuals. Tthe effect of TMS on social behavior, risky behavior and even criminal behaviors of addicts. 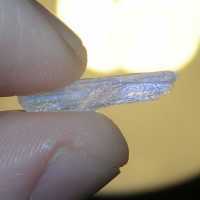 Response: China has a very big size of addict population in the world ~ with 2.5 million addicts on record, and estimated for a total of 10-13 million methamphetamine/heroin abusers. There are many advantages for clinical research now in China, and we acknowledge the disadvantages in our current conditions. We sincerely wish to open collaboration with more international scientists and clinicians to improve the quality for our research. This entry was posted in Addiction, Author Interviews, JAMA and tagged addiction, JAMA, mental health by Marie Benz MD FAAD. Bookmark the permalink.